Most doctors are great at talking sweetly to patients at the time of the first consultation, because they want to lure the patient in for treatment. It’s easy to give patients lots of hopes and promises, and many patients like this , because it boosts their confidence , and they like the doctor’s positivity. 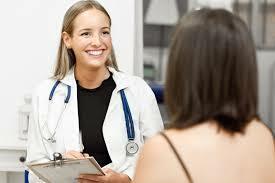 They feel that being treated by a confident and optimistic doctor will improve their chance of getting pregnant. On the other hand, many IVF doctors are very scientific and rational. However, if you are cut-and-dried and stick to statistics , patients feel that you're not empathetic and are not able to connect emotionally with them, because you don’t understand their feelings.